Infinite Art Tournament: The Infinite Art Tournament Left Bracket Third-Round Elimination: El Greco v. van der Goes! 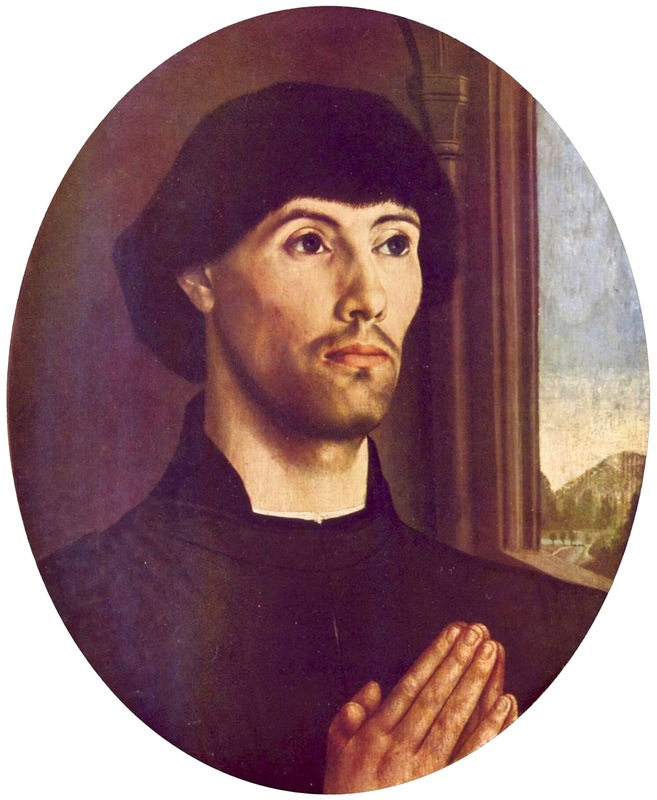 I just can't get my eyes to appreciate the weirdness of El Greco so I will vote for the weirdness of Hugo van der Goes. 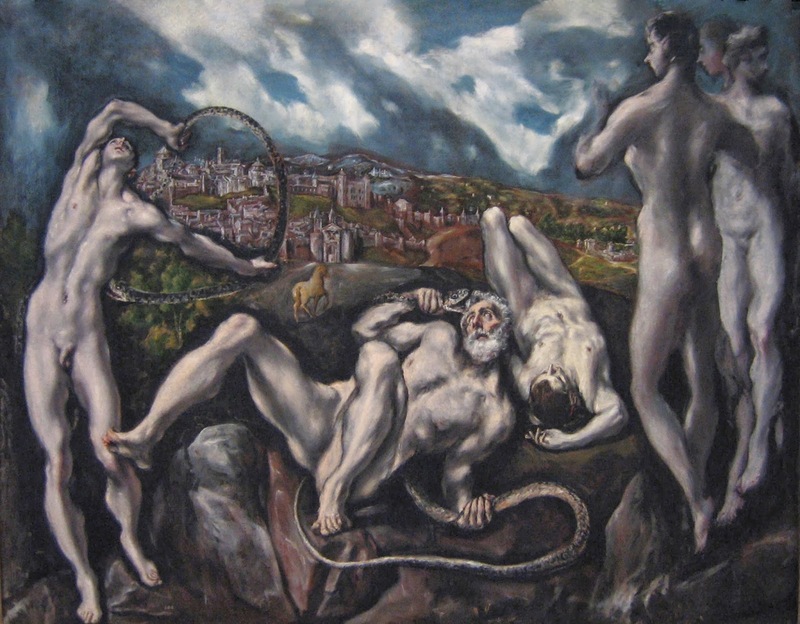 I like the second El Greco a lot, but can't get into any of the other ones. I like all of the van der Goes, though, so I'll vote for him this time around. Van der Goes. I just don't like El Greco. Don't know why. Just don't. Here are two votes for The Greco coming in from the Facebook feed. 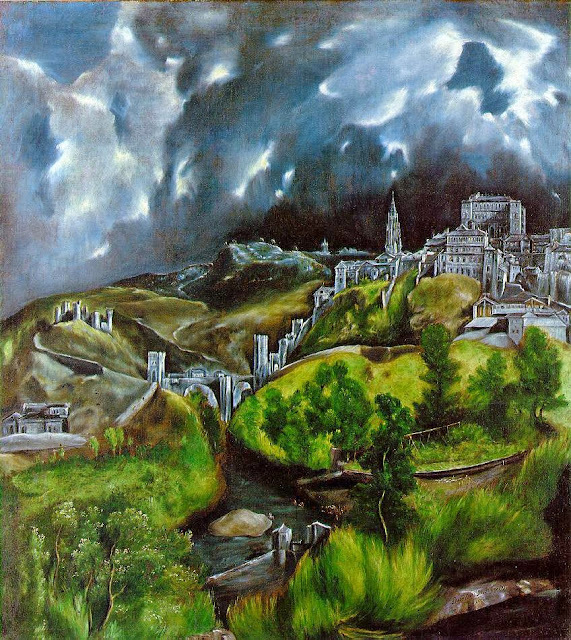 I, too, have a long history of failing to feel any love for El Greco, but he's starting to win me over. 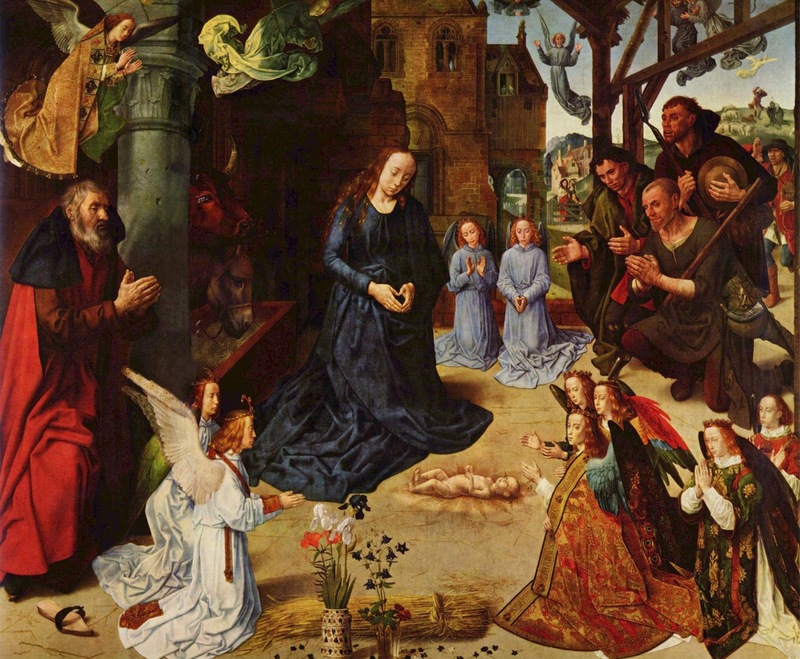 I got to stare at his painting of the Holy Family + Mary Magdalene recently, thanks to the Portland Art Museum. I've decided that, though his people generally look like they are on heroin, and have claws for hands, there is also something very electric and unfathomable going on his paintings that cannot be dismissed. He was an original! 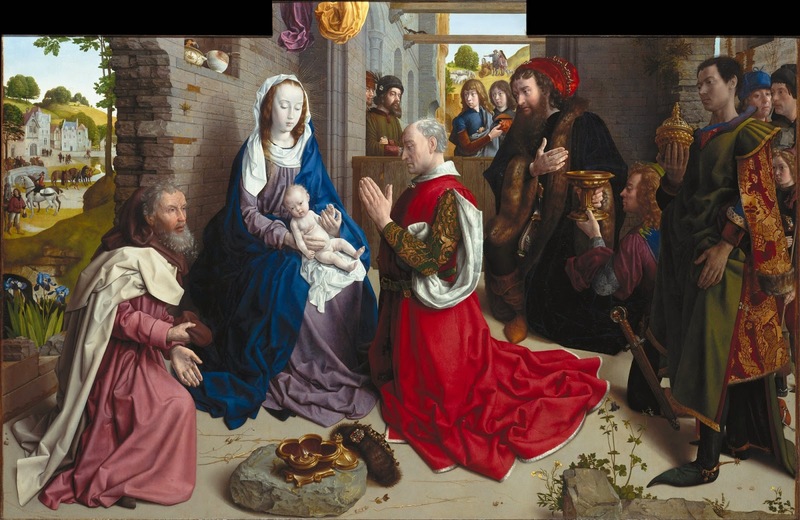 Whereas Hugo van der Goes--I really like his work, but have trouble seeing what sets it apart from other first-rates in his place and time. Plus, I confess it, I have trouble with the little angels, and how they throw off the perspective in the Portinari altarpiece, and how Baby Jesus looks like he's been abandoned on the pavement in the middle of the adoration. Not that I wouldn't end up voting for Hugo if I saw his work in person! But, yes, as it is, El Greco, and now I'm forced back to work. I like van der Goes, but he is no match for the Impressionist Renaissance of the Greek! I will van der Go for van der Goes, because I find his paintings very beautiful. 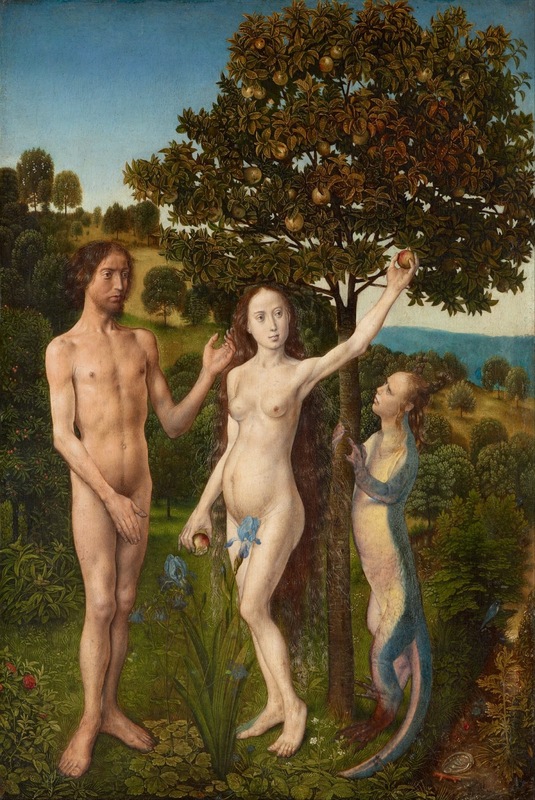 Susan casts her vote for van der Goes. 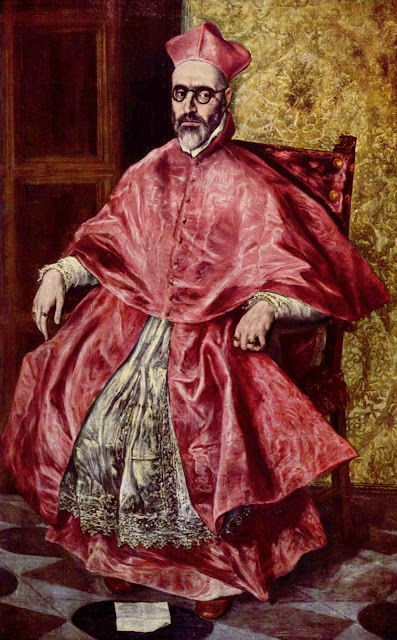 El Greco, whom I always think of as the weird kid nobody wanted to sit by in the cafeteria. This match goes to the Impressionist Renaissance of the Greek! 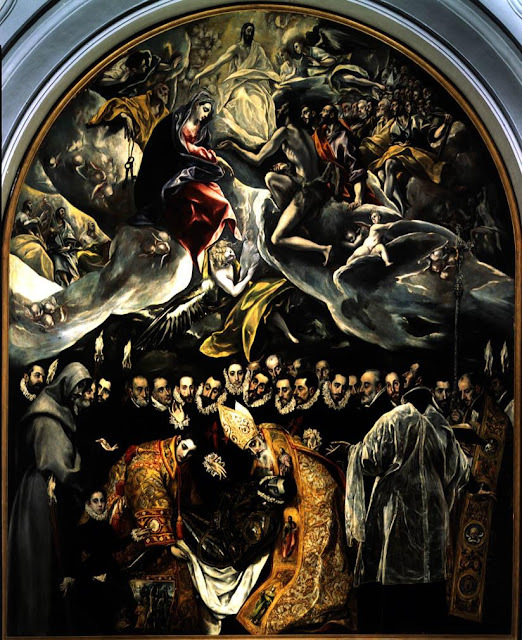 Which is to say El Greco. He takes seven votes to van der Goes's five, and will move on to try his luck against another Dutchman, Franz Hals.